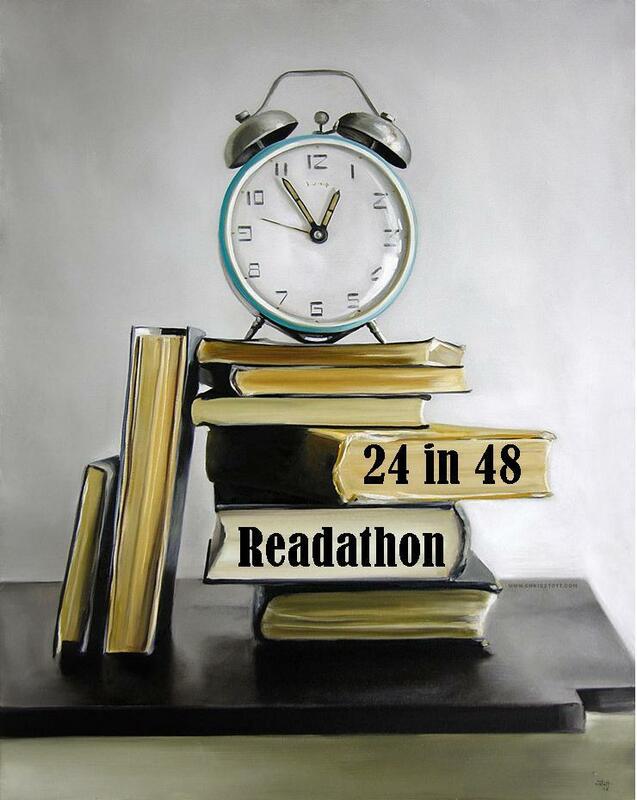 The make me read it readathon is a newer readathon hosted by Val @ The Innocent Smiley, and Ely @ Tea and Titles. It is running from July 9th – 16th, and if you want to join me you can find the sign-up post over here. The difference about this readathon is that you guys get to decide what (and in which order) I will read during the week. So please take a couple of seconds to select one of the options in the poll below! I’m planning on setting a goal of 3 books during the #makemeread -athon, but I’ve listed 5, and I will read them in order of which books get the most votes. They are all part of the #20booksofsummer challenge, and I will still be reading a large chunk of Middlemarch during this week too! I won’t be updating the blog daily during the readathon, I find that to be too time consuming – but I will be active on twitter – @bookybecksa and will post a wrap up at the end of the readathon. Hey guys! I’m emerging out of blogging and reading obscurity to take part in one of my favourite bloggy/reading events – Bout of Books! I’m looking forward to dedicating a whole week to catching up with some of my favourite authors and shunning the outside world. I am going to challenge myself this time to read over 2,000p over the week, so I won’t be committing too much else. There will be no blog updates on here, and I might complete a challenge or two, but they won’t be my priority. Also, I’ve decided not to host a challenge this BOB, so that’s a little pressure off my shoulders. Interesting to see that all the challenges will be hosted on the Bout of Books blog this year. If you haven’t before, and are interested in this wonderful event, check them out here. Most of my Bout of Books’ing will happen on twitter, where I am @bookybecksa and am much more active than here! I’m trying twitter as my primary platform because I find blogging to be time intensive during a readathon, and I always end up having to compose and combine multiple day’s updates in one post. 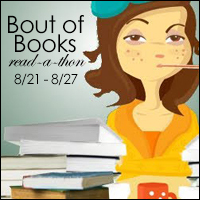 If I remember, I will post a summary/wrap up at the end of the week, linking that to the Bout of Books blog too. I’ve got a cautionary TBR prepared, but will allow myself room to mood read if need be. I’ve tried to include long but easy reading books and new books by favourite authors so that I can hopefully hit my word count! BOB15: Day 6 & 7 and Wrap-up! Another Bout of Books has brought itself to a close, and I sure did get some reading done! I’m surprised by how much progress I have made, considering I’m mid EDS flare-up. Most of my reading has been done in my bed and up late at night when I just. can’t. sleep. I’m thinking about investing in a bean-bag, although I HATE the look of them, because it’s either that or a swimming pool. So, my figures for the weekend were okay, I finished another book on Sunday night. Write an update post daily on Ranty Runt, even if it is just what I have read and a cumulative total – I did provide updates of each day, even though the last four days were condensed into two posts. I will take this as a win. I might do this on twitter next Bob. Participate in 2 challenges – I participated in one challenge. Be a social butterfly and read & comment on at least three updates per day – I commented on quite a few blogs over the bob, not sure if it would equal three a day. Read 2000 pages. – I read 1536p. Not the goal, but I’m still happy with it. Way more than I would normally read! POST MY CHALLENGE AT THE RIGHT TIME – I nailed this one! So, that’s the end of this Bob, I don’t think I will host a challenge next time around – I enjoy doing it, but it might just be more than I can handle during semester. Hope everyone else had a great bob, and I’ll see you all in May? Is it May? I think so.